People fail in business not because of any lack of desire, commitment or scarcity of effort. Rather they struggle because they don’t command the critical skills, explicit expertise and specific disciplined success habits necessary to achieve their success goals. Advancing your success is my number one objective. My expertise is in helping you and your team, master superior strategic business development, sales & marketing and entrepreneurial leadership skills, methods and techniques so you can apply them to your business and dramatically accelerate your success results. I advance early stage business owners into focused action, accomplishment, growth and success. I advance veteran entrepreneurs to new success heights by helping them capture strategic market advantages to capitalize on breakthrough opportunities they’ve never seen possible before. I advance organizational results by transforming leadership from average to exceptional. I advance corporate performance through strategic business development which accelerates sales results and secures a commanding advantage in highly competitive markets. I am “The Activator”. My intention is to multiply the value and effectiveness of you, your team, your organization, your business and your life. It’s disturbing to me when individuals and organizations struggle to achieve the success that is truly possible for them because they are constrained by underdeveloped skills, ineffective communications, unproductive sales and marketing techniques and methodologies, insufficient organizing frameworks, faulty business or operational models, unsupportive mental models and beliefs. I’ve been building successful businesses of virtually all kinds for over 40 years and have studied with and learned from a network of truly exceptional leaders how to consistently turn difficult and challenging circumstances into powerful winning advantages others are unable to see. Through that prism of experience, I’ve learned a thing or two about both individual and organizational success and what it really takes to have, grow and enjoy it. I’ve identified a specific set of success skills that, once mastered, place you in a different league, change the game in your favor and empower you to influence, motivate and accomplish high-flying results. My work is collaborative, involving the transfer of skills to the client personnel and maximizing the effective utilization of available resources. My engagements are usually completed within one to six months and I work against specific objectives with clearly-established outcomes directly serving client business goals and objectives. My experience indicates that improved performance & results requires an investment in the growth and development of people, systems and support structures. 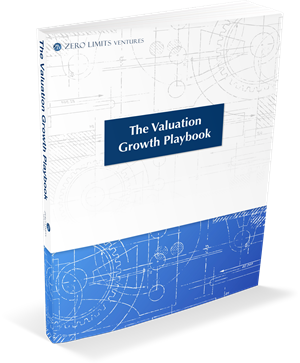 Interested in learning whether we can help you radically increase the value of your business?